In a world so big, one click on a Facebook advertisement connected two businesswomen who share the same passion for jewelry. Their story and background may differ, but Alani Stunzner and Shehana Kimiangatau have a common value that has seen their business partnership thrive for almost two years now. Ms. Stunzner owns Adriana’s Boutique, which was established in December 2016 and her New Zealand supplier is Ms. Kimiangatau. 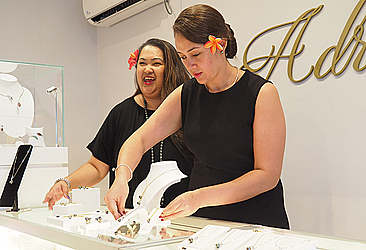 Yesterday, Adriana’s Boutique held a Pearls & Champagne event to thank their VIP customers, bring women together and to celebrate Ms. Kimiangatau’s first visit to the boutique, located at Togafuafua. “I originally was only stocking gold and silver pieces in my store,” said Ms. Stunzner. “But because I know Pacific women love pearls so I was trying to find a pearl supplier and it just so happened that I was on Facebook and one of her advertisements popped up on one of our pieces so I just clicked on it, went through her website and I loved all her jewelry collection she had." “It was very modern and unique, so I just contacted her and we just went from there. Response from customers has been great with our Shahana pearls, like I said she’s unique and has modern pieces that suit any type of women." Being women in business is a tough challenge, but the pair wouldn’t have it any other way as they strive to overcome all odds. “We are just two ladies trying to make it in business. 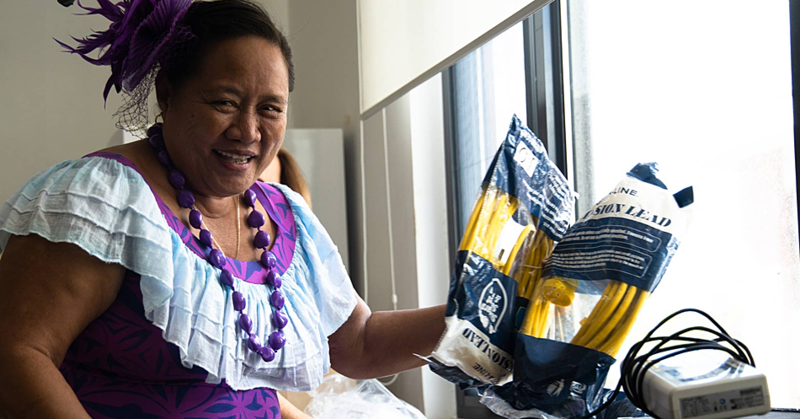 It is hard being women in business but our why’s are so much stronger, personally I think, we want to be able to support our families, travel, be independent,” Ms.Kimiangatau said. Ms.Kimiangatau’s love for jewelry, specifically pearls, started from a very young age as her mother and grandad share the same passion. “My mother was an avid jewelry collector, my grandad was an inventor, so I kind of grew up around him and jewelry at the same time, so when it came to a point in my life that I wanted to start a business for me, work with people I love, do what I enjoy, travel, it was really easy, it was jewelry because it was what I knew, so it’s been a big passion of mine. “I’m inspired by colours, luxurious textures, nature and my culture because I’m Indian, Chinese, and Italian, so a lot of colours and textures come from there, but nature as well. For Ms.Kimiangatau, selling her jewelries in a boutique is important because she doesn’t make masses. “That’s what Adriana’s Boutique is all about. It’s about exclusivity so that’s my market as well, I cater to that so once it’s sold out, we don’t make anymore because if a woman’s bought it, then she’s the only one that’s got it and that’s really important, that’s what our customers want,” Ms.Kimiangatau said. Last night’s event was also a time for the two ladies to give back to the community who contribute to the success of the business. 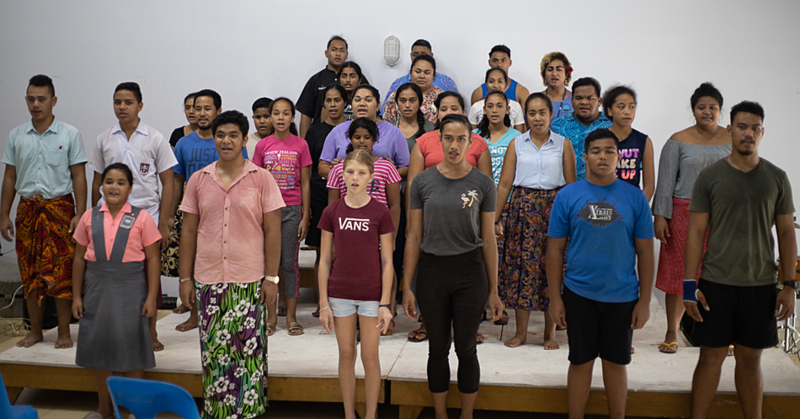 “We really want to thank them and also tonight I’m displaying my new collections and Alani’s got some that she’s discounted as well where 30 percent is going towards the Samoa Children’s Pediatric ward,” Ms. Kimiangatau said. She told the Weekend Observer she plans to expand her business to little boutique shops at the airport or hotels, but it’s all about the location. “I have customers overseas asking for Adriana’s jewelry, but we currently don’t have overseas shipping, but there are quite a few people who request their families in Samoa to pick them up and bring the jewelry to them in Australia, New Zealand and Pago,” she said. The women share a positive mindset towards other businesses in similar trades because they believe in their unique and quality designed products that distinguish them. “Everyone sells different designs and it’s not always the same and our stories are different,” Ms. Stunzner said.